Here at H&S Autos of Melbourne near Derby, we are the Main Dealer for Microcar, the French small car that can be driven on a Full Motorbike license. We have over 15 years experience of Microcar in sales and servicing and we also keep in stock many Microcar parts. The latest Microcar model is the M.GO, engineered and manufactured in France.The factory is ultra modern with full robotic body assembly, and has exacting production standards to world class assembly methods complying to ISO9002 and ISO9004. Graciously styled, powered by a 505cc multi point injected engine with a fuel consumption averaging around 65mpg, this beautiful looking light weight car will get you out and about saving you £££’s with the present fuel prices . 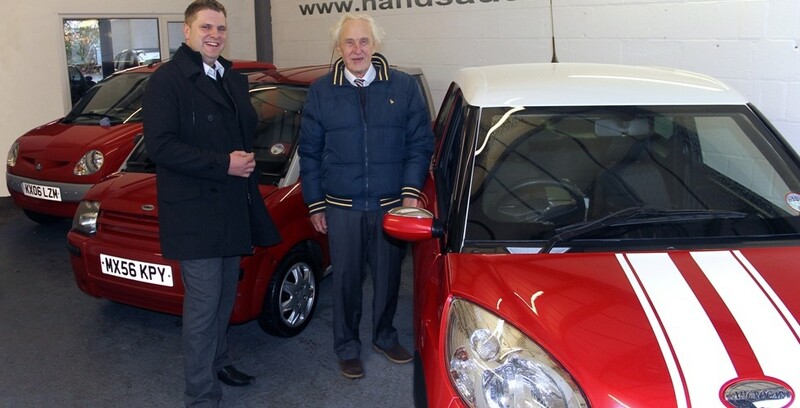 For more information about Microcar and their various models, Visit Microcar. Every M.GO car is warranted for 24 months unlimited mileage, and the engine unit** has three years / 25000 miles warranty. *please note warranty conditions. **please note warranty conditions apply to power unit. To qualify for for full term warranty service schedules are to be maintained and recorded. Microcar UK reserves the right to change without notification warranty privileges and/or schedules. The first inspection service is due at 250-500 miles and further service intervals are at 6000 miles / 12 months. A 3000 mile service is required for drivers with low annual mileage. FOR ANY QUERIES AND FURTHER INFORMATION RELATED TO SALES, SERVICING AND PARTS PLEASE CALL US ON 01332 864394!